Cooper Yoo’s work as a creative is in response to the rise of personal technology and its effect on an individualist society. We use technology such as smartphones to connect across the world with others, yet at the same time we often fail to connect with someone sitting right next to us. Cooper has come up with some fun ways to remedy this issue by bridging the gap between humanity and technology. 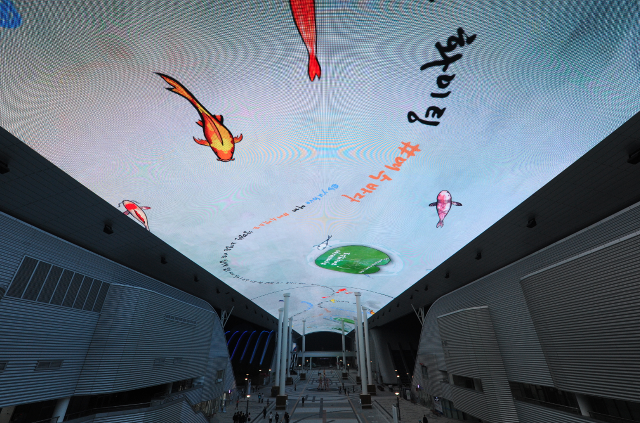 “Oceanus” is a large scale interactive project through Carnegie Mellon University that was designed for Yeosu World Expo 2012 which took place in Yeosu, South Korea and Pittsburgh, Pennsylvania, U.S. The project used Twitter Application Program Interface which allowed a broad audience to contribute to the project. When the audience tweeted designated hashtags, their written messages would show up on the screen mounted on the ceiling. 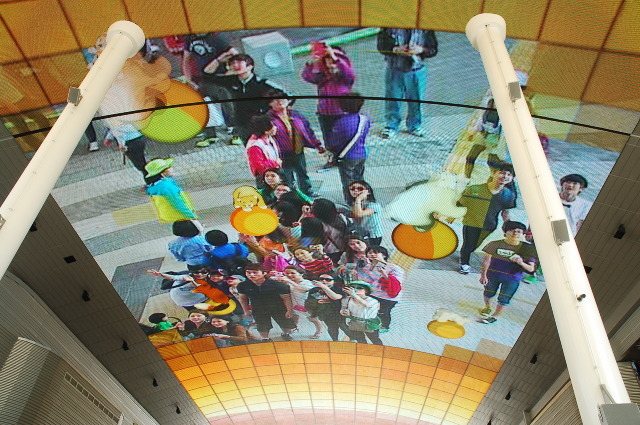 Furthermore, audience members were able to see themselves on the screen through a live video camera. What fascinated Cooper was how this experience effected people of ages and varying technological abilities. It broke down the barriers that can sometimes be created by technology, and promoted interaction and conversation among people in the same space. To view more of Cooper Yoo’s work you can check out his website here. This entry was posted in ideas and tagged carnegie mellon, community, cooper yoo, interactive, south korea, steam, technology. Bookmark the permalink.